Have had multiple packages delivered by Amazon logistics the last week or so no issue. (Home with no gate. Easy access to front door) they take a pic each time of packages at door—simple. Today I get an alert at 8:30pm that my package was marked undeliverable due to no access to my building. A second package was marked undeliverable because my business was closed for a holiday. The c/s had no words and could not explain it since the driver was on my street when he set the status. Supposedly they mark the packages different ways so they don't screw up the 2 day delivery guarantee. It won't go against them if it's marked undeliverable or they say it was delivered and they bring it the next day. I watched the mail truck drive past my house and got an email 20 mins later that it was delivered. Can you bring me up to speed on how any of this is Amazon's fault? I didnt know they operated the actual delivery service. They throw our office packages in the bushes when they deliver to us on Saturdays. I didn’t realize they took photos for a bit. We had six boxes hidden in the bushes. It's management's fault. They didn't provide the workers with proper instructions, training, tools and incentives. Can you bring me up to speed when we decided it's not a companies fault when they don't deliver what they promise because THEY chose a bad contractor? Amazon has an in house delivery service now. It's franchised out, but it's Amazon-branded and controlled. 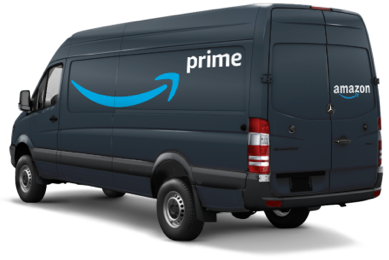 Amazon customer service must absolutely despise the idiots who drive their delivery vans. Amazon's own delivery service is amateur hour. Literally, they hire punks who don't know how to handle slightly tricky addresses. The Prime service should include allowing you to to choose the service that delivers to your door (even at extra cost) because I easily had the best luck with UPS at an apartment I lived at. Every other service made mistakes (frequently delivering to the wrong building). They are doing the same thing Fedex basically does. Do you blame Fedex if their independent contractors don’t deliver your package? Update for me: They sent another of the same item and it was supposed to be delivered yesterday. It shows delivered again, and same result, no package anywhere. is there a photo of where they put it? Nope, the first attempt and second attempt for this item do not have photos. I didn't even realize that was a thing, just looked at a previous item and there's a photo. I had 2 packages marked delivered yesterday. What they did was deliver it to ups and now I'm sitting here waiting for it to be delivered today. Total bull shite. Update: day two there was still no delivery and this time none attempted. Logistics customer service (LOL) was a guy who said in three completely different ways how it wasn’t really there fault. I asked to be transferred to supervisor. She says the conveyor belt that moves the items at the BR distribution center broke and it’s sitting in there somewhere. Would I like to cancel and reorder. LOL it’s like the McDonald’s workers that can’t give back change without a machine telling them how much.